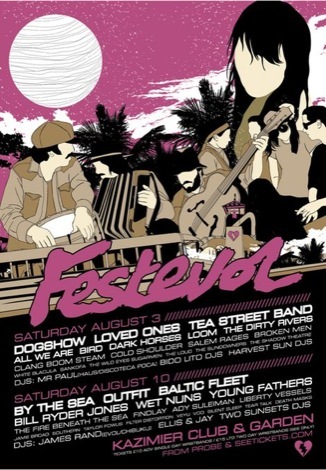 Outfit, By The Sea, The Tea Street Band and Baltic Fleet join a who’s who of Merseyside music for the second edition of FestEVOL at the Kazimier in August. Liverpool promotion team EVOL have assembled a delectable who’s who of Merseyside music talent for an August double-header at the Kazimier. The eye-watering 38-act, multi-stage festivities takes place over the course of Saturday August 3 and Saturday August 10 utilising the Kazimier‘s indoor club, outside garden stage, rat alley smoking den and various DJ platforms. And EVOL have teamed up with Getintothis to offer a discounted £15 ticket for both weekends – click this link to buy a wristband. This year’s FestEVOL edition follows on from the successful inaugural duel events taking place in the summer of 2012, hosted previously at the Kazimier. The 2013 FestEVOL line up once again highlights the genuine depth and creative vitality coursing through Liverpool music, aligning big-hitters Outfit, By The Sea, Bill Ryder-Jones and The Tea Street Band with GIT Award winners Loved Ones and Baltic Fleet through to emerging buzz acts All We Are, Ady Suleiman and Bird. 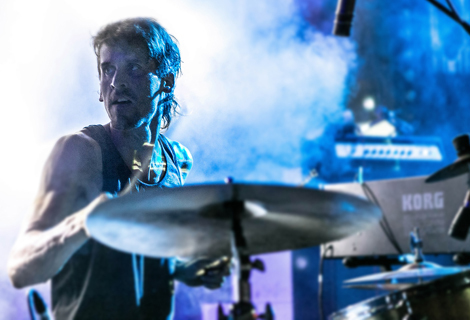 Liverpool’s rock and roll front runners are represented with The Sundowners, The Dirty Rivers, The Wild Eyes and Clang Boom Steam playing alongside a host of hip hop and young pop diamonds scattered among the all-dayer’s including Fire Beneath The Sea, Jamie Broad and Taylor Fowlis. Elsewhere, artists with a national and international flavour come in the form of Liverpool Sound City triumph Findlay, dub-soul outfit Young Fathers, scuzz rockers Loom, noir electro poppers Dark Horses and unofficial EVOL house band Wet Nuns. And in-keeping with the celebratory Liverpool feel there’s a wide selection of hot new acts including Getintothis tips VEYU, The Sugarmen and Sankofa mingling among established, long-time Mersey favourites Voo, Dogshow and DJ staples Paul Hutchinson and James Rand. 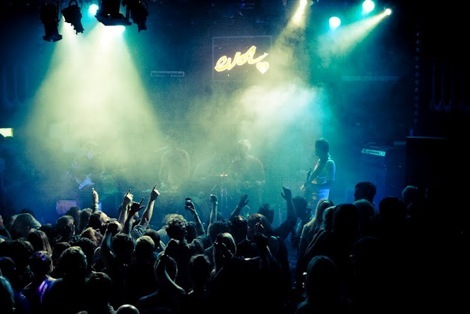 EVOL‘s Steve ‘Revo‘ Miller, said: ‘I’m very happy to be unleashing the FestEVOL line up. It’s a step up from last year; it’s more varied across the two days with the very best acts from Merseyside mixed with some up and coming guest acts that have impressed me on my travels around the country. FestEVOL is priced £10 for single weekends or £15 for a duel weekend wristband discounted through Getintothis. For an introduction to each band click on their name in the billing below.